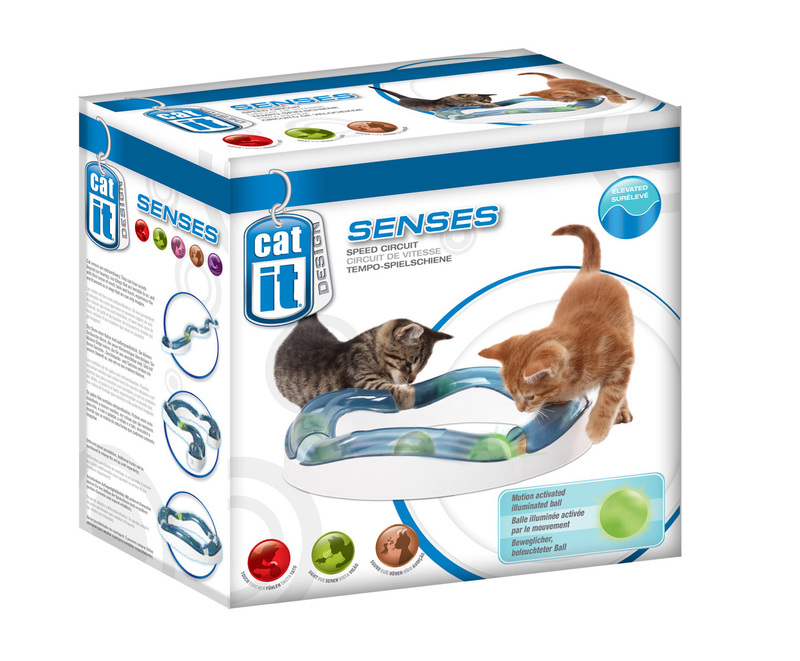 The Catit Senses Speed Circuit helps to stimulate your cat's sight, sound and touch senses like their natural hunting would. The track has been developed to give the ball a high speed coaster ride which will keep your cat chasing. The ball is motion-activated and illuminates as it moves to give a toy for both day and night play. Your cat will be able to see the ball the whole way round the track, but will only be able to hit the ball at a few open gaps. There are currently no questions for Catit Senses Speed Circuit Cat Toy - be the first to ask one!